All eyes are on actress Meghan Markle, who is now engaged to Prince Harry, the fifth in line to the British throne. Prince Harry proposed to the former "Suits" star after dating for a little more than a year, Clarence House -- the office of Prince Harry's father, Prince Charles -- announced Monday. But many royal enthusiasts are also wondering about Markle's inner circle and of course, her celebrity friends. As an actress, Markle, 36, has been seen spending time with Canadian Prime Minister Justin Trudeau, fashion designer Roland Mouret and even “Quantico” star Priyanka Chopra. But that doesn't mean they're close friends -- at least when it comes to Chopra. Chopra, 35, even admitted to talk show host Wendy Williams in an interview back in May that she wasn't sure she'd make the guest list to the royal wedding. "I don't think I'm that close to her," Chopra admitted, adding that the two have been friends for two years after meeting at a party. 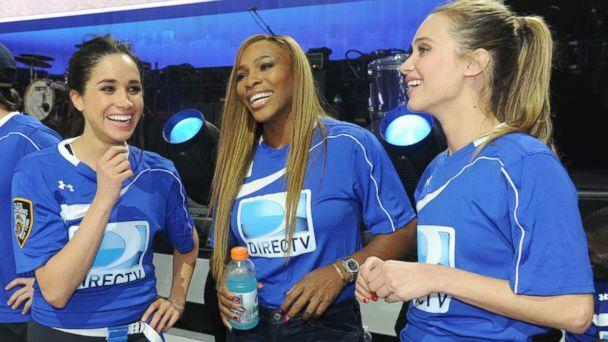 After meeting seven years ago at the Super Bowl in Miami, Florida, Markle and the tennis superstar fostered a friendship. "Her personality just shines," Williams boasted of her friend to Vanity Fair. Williams, 36, who recently got married earlier this month, also revealed that Markle has often come to her for advice on how to handle the stresses of fame. "I told her, ‘You’ve got to be who you are, Meghan. You can’t hide,'" Williams recalled of the conversation. The two have also been spotted enjoying each other's company back in 2014 at DIRECTV's Celebrity Beach Bowl. And Markle was even seen cheering Williams on at the U.S. Open championship in September 2014, the Australian Open, held the following year, and even last year's Wimbledon match. Roth, who considers Markle her best friend, met the future duchess while the two matriculated at Northwestern University. Fifteen years later, the two are still close. In fact, Markle was even the maid of honor at Roth's wedding, according to People magazine. “We’re the kind of friends who can be 3,000 miles away and still be talking about or thinking the same thing, and even texting each other the same thing at the same time miles away," Roth told the magazine. Roth continued, "I don’t know many people who are as generous and supportive as Meg is. I think people assume that when someone gains notoriety that they change. But she’s still the same girl I met years ago, with the same values and priorities. She’s selfless, and that’s just a part of who she is and who she was raised to be." Stylist Mulroney is often photographed with Markle, sharing small tidbits from their flourishing friendship. From vacationing in Italy, to lunches to spending quality time together at home, it's clear the two have a solid friendship. "But @jessicamulroney can we just go back to Italy because it was exceptionally fun with you," she captioned one photo of the two in September 2016. Mulroney, who's married to Ben, the son of former Canadian Prime Minister Brian Mulroney, was also invited to sit with Prince Harry and Markle at this year's Invictus Games, further proving their friendship. From posts on social media, Anderson and Markle share a fun and light-hearted friendship. In an Instagram post dedicated to his birthday, Markle wrote: "What would I do without you, my loving, supportive and endlessly fun friend?? I know what....I would be bored, and life would be infinitely less interesting. I love you SO much." Along with sharing lunches and dinners, the two have also vacationed in Madrid together last year. And Anderson was also spotted at the recent Invictus Games with the couple. The actress, who's worked on Markle's former lawyer drama "Suits", is also among Markle's inner circle. 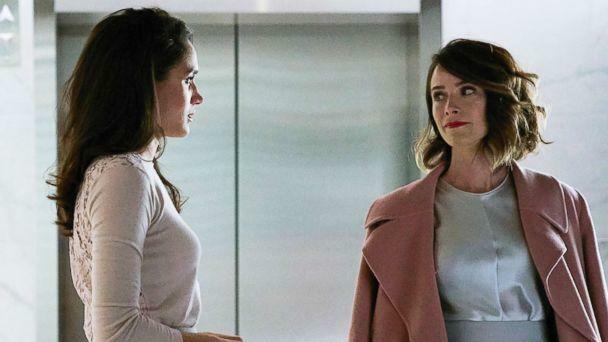 Spencer has even spoken out about why she thinks Harry was attracted to Markle. "She’s got warm elegance, though her style is hard to pin down," Spencer told Vanity Fair about her friend. "It’s classy and timeless. When you’re talking to her, you feel like you’re the only person on the planet. And it’s just wonderful to see her so in love."